The third edition of this popular book retains the practical approach to teaching visual modeling techniques and the industry standard Unified Modeling Language. 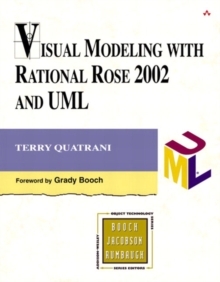 Author Terry Quatrani, the Rose Evangelist from Rational Software Corporation, still uses the simplified case study (a course registration system for a fictional university) that has taught thousands of readers how to analyze and design an application using UML, and how to implement the application using Rational Rose. The screen shots and Rational Rose instructions have been updated to reflect the release of Rational Rose 2002. 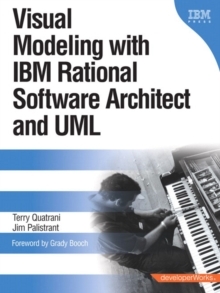 After a short history of the evolution of UML and a guide to the basic terms of software engineering, the book introduces the concept of requirements, use cases, and class diagrams. Further chapters move toward defining an architecture and even refining the design within the incremental methodology of Rational Rose.